The test pieces for the Regionals in 2014 have been announced. The Regionals 2014 CD with all the Area Qualifiers in 2014 test pieces is available from Amazon. “The Head that once was crowned with thorns is crowned with glory now”. The tune is very simple, consisting of just two, four-bar phrases. Neither is there much in the way of rhythmic variety, every note being a crotchet with the exception of two quavers, and the last note in each phrase. Within such a simple structure, however, lies considerable strength. You can listen to Cry of the Mountain on Spotify. 01. AWAKENING - early morning and the mountain is covered in cloud, eventually the sun bursts through and reveals the mountain in all its glory. 02. SNOW, ICE AND GLACIERS - between the rocky out-crops there are layers of snow; slippery ice patches and icicles adorn the overhangs. In the larger crevices and valleys glaciers are formed. 03. VISTAS AND DISTANT PEAKS - when viewed from other high points one can see the mountain in full outline against the vast landscape. 04. AVALANCHE - despite its beauty, a mountain can be a dangerous place and the accumulated snow may not be stable, it can easily tumble out of control. The slight twist of major tonalities at the very end reflects the way a sudden change in light can alter the whole perspective." Purchase Cry of The Mountain on Just Music. Michael Ball: "Chaucer’s Tunes (two sections of which began life in less extended form as theme music for a BBC radio series The Road to Canterbury) was originally written for wind band, commissioned by the British Association of Symphonic Bands and Wind Ensembles for its 1993 conference. 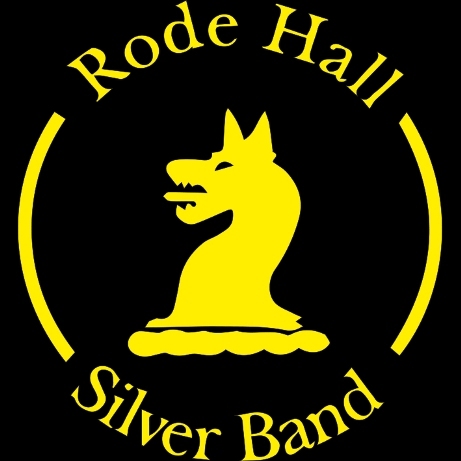 This version for brass band, made in spring 1998, was commissioned by Paul Hindmarsh on behalf of the Brass Band Heritage Trust (with financial support from the North West Arts Board) for the 1999 National Youth Brass Band Championships." Purchase Chaucer's Tunes on Just Music. Philip Wilby: "Like many composers writing for brass band today, the sound and culture of banding is part of my childhood, and this short Partita seeks to commemorate those childish memories in the musical terms of today’s currency. Although the music makes the real technical demands on the players (as required by brass band test-pieces), the composition is nevertheless designed to involve rather than impress its audiences. 01. Towers and Chimneys: Two pieces of contrasting music, one heraldic and one mysterious. 02. Churches: Lord of the Dance: An arrangement of the famous melody made popular in Martin Shaw’s hymn of Jesus’ life and ministry. 03. Pastorale: Sunday Afternoon: The afternoons of childhood, which seemed so long and langorous, in the days before television. 04. Coronation Day Parade: A community celebration with a brass band at the centre of the procession, and leading to a reprise of the opening fanfare music from the first movement. " Purchase Partita for Band on Just Music. Alan Fernie: "Three Spanish Impressions originally were part of a large, single movement work called “ SPAIN” Whilst happy with the content of the work, I realised that it was rather unwieldy and a bit too long, so, with the publishers blessing, created a shorter suite from the existing material. The brooding and repetitive opening movement takes its mood perhaps from the Miles Davis/Gil Evans album "Sketches of Spain", albeit in a less stringent harmonic language. The middle movement is a delicate and fragile waltz, with shades of a romance within, and the finale, a colourful and robust fandango, also contains a lyrical heart ! The thematic material, whilst written very much as a pastiche of the music of Spain, is original, and the accent is firmly on melody and musicianship! Purchase Three Spanish Impressions on Just Music.